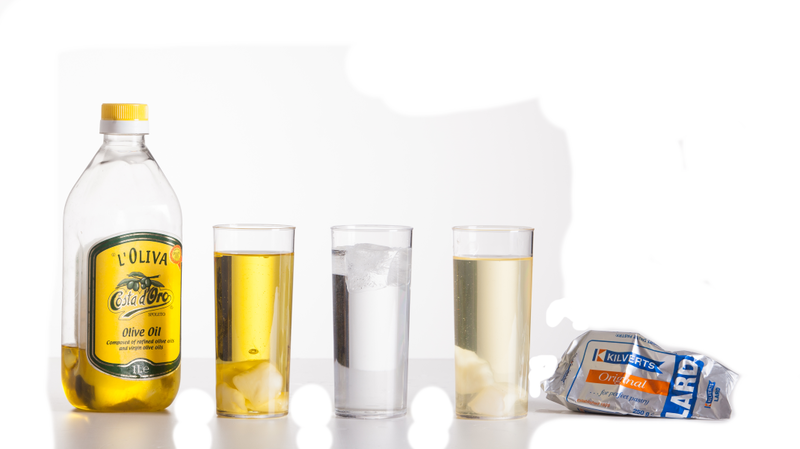 Because an iceberg floats in water, will frozen olive oil float in regular olive oil? Icebergs float. If you put an ice cube in water floats to the top. NO other chemical does this. Freeze olive oil and put it into a cup of liquid olive oil you will see that it sinks.